This gorgeously silky soft puppy is newest little friend from the JellyCat Bashful Collection. 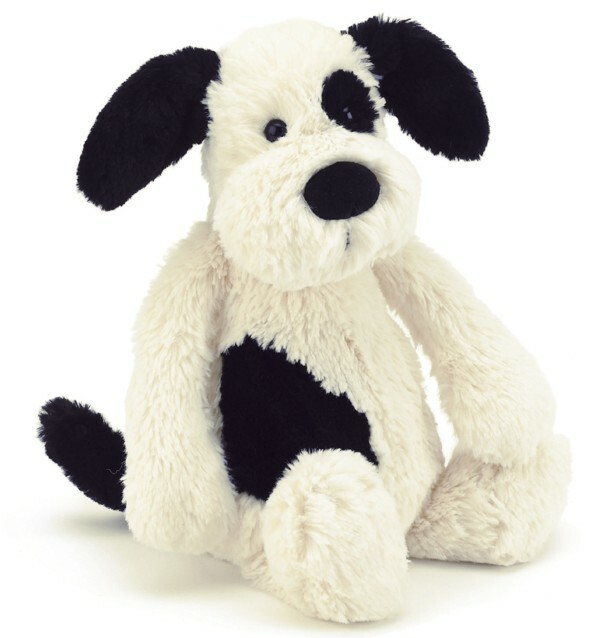 He is made from a dense, luxurious, cream and black plush, with an oval black nose. He is such a sweet, very busy puppy. Add the book, for a wonderful gift idea. We all know puppies are known for getting into everything. 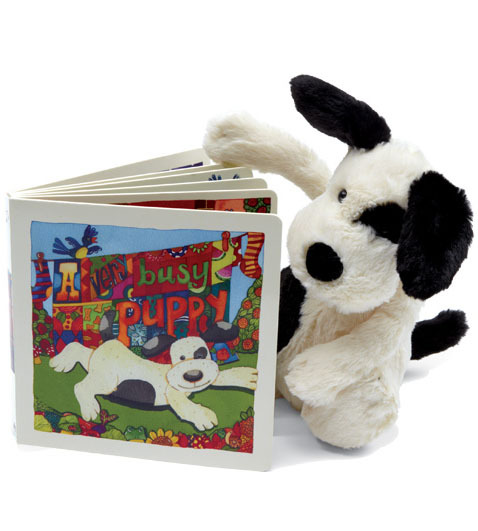 Follow one puppy as he goes about his day with the Jellycat A Very Busy Puppy Book. From chasing cats to digging in the park, this puppy is always on the go. 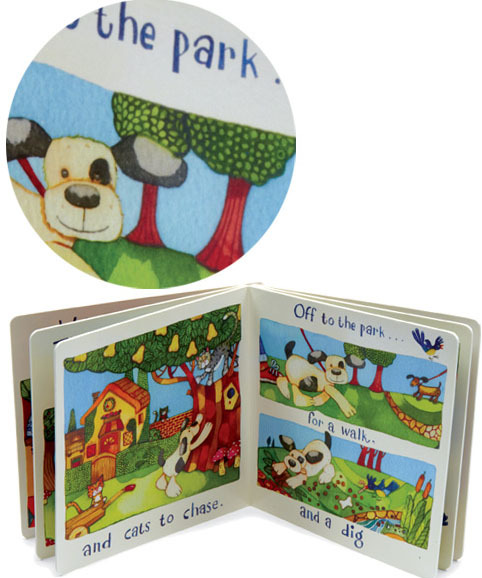 Each page contains more fun, bright pictures, and funny experiences. 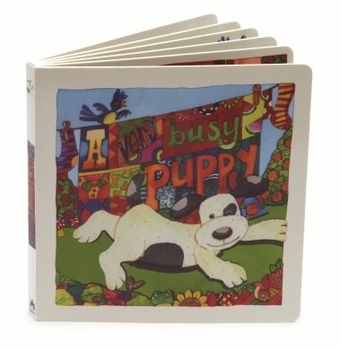 Teach your child the importance of reading at a very young age with the A Very Busy Puppy Book.